What the heck am I going to do with this? 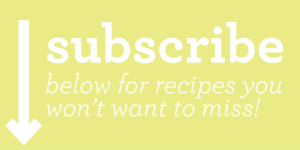 She says as she opens up her weekly CSA (community supported agriculture) share. 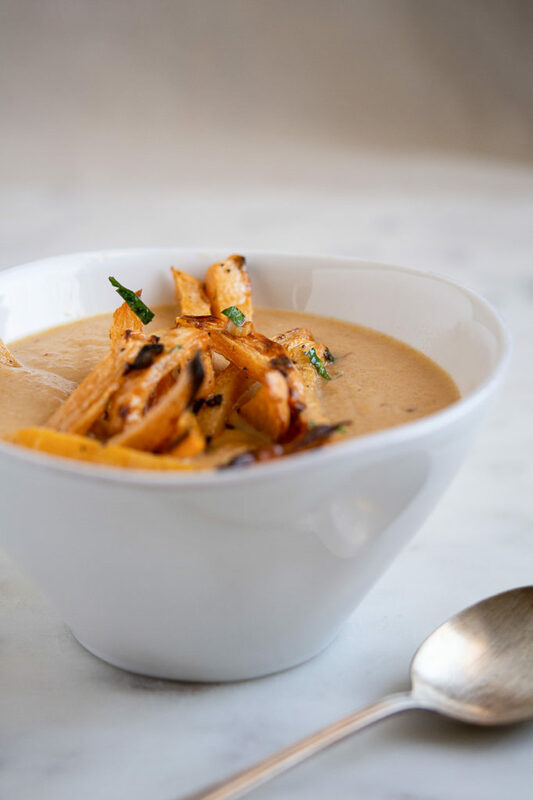 You’re going to make some soup, with rutabaga and chipotle, that’s what. I didn’t just fall off the table-turnip truck, ya know. Rutabagas have been labeled table-turnips in some parts, not sure why maybe because some are as big as your head. But the cool thing is, not only are they tasty, but turnips are much lower in carbs than a potato they have lots of fiber and are full of nutrition. Just think of the possibilities. 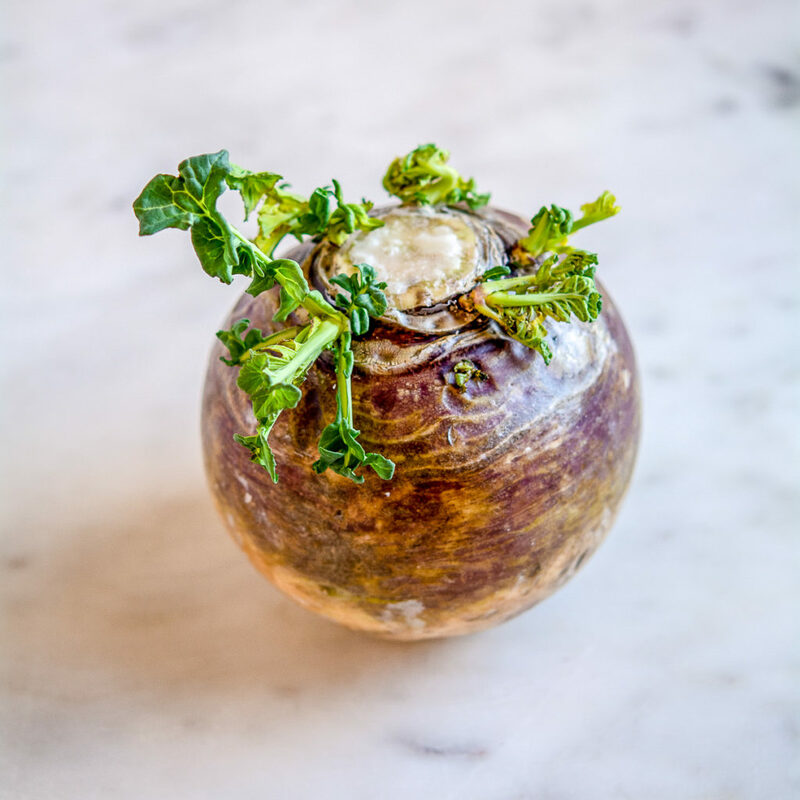 True confessions, when that a table-turnip (rutabaga) was delivered in last weeks year-round CSA (from Doorstep Farms), I knew I had to come up with a recipe for it, and I was worried. But as it turn(ip)s out, they really do taste nice, not quite as pungent as a turnip, and not quite as sweet as a carrot. The flavor really mellows as it cooks too. 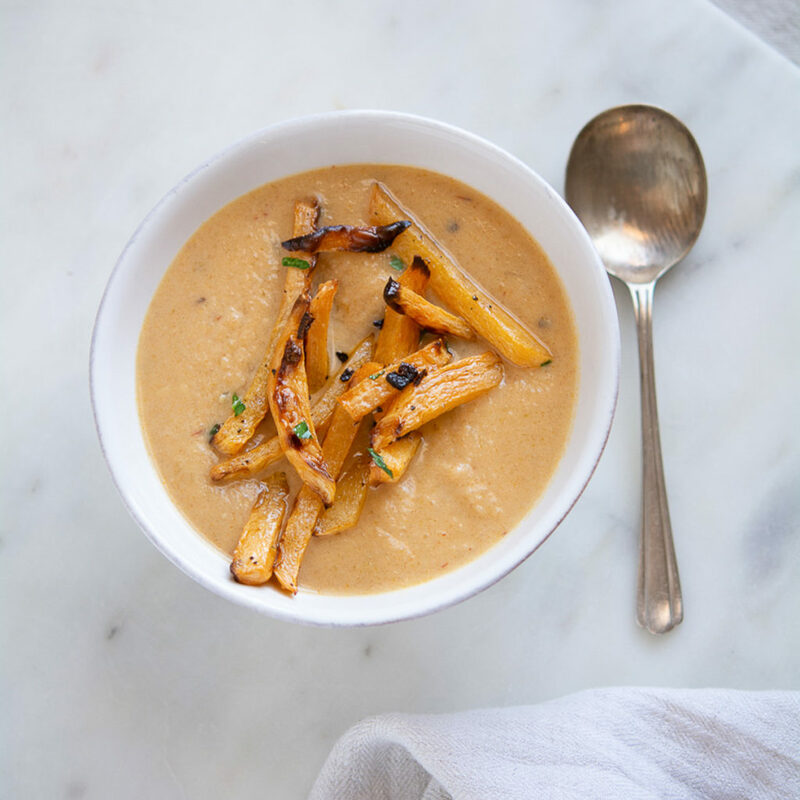 I’ll share the recipe for the Baked Rutabaga Fries next week, they are a total game changer. Super easy, super quick and super delicious. Let’s give the poor lowly-old rutabaga a chance. It really is quite tasty, sort of a cross between cabbage and turnip. Add oil to a large pot and add onion and celery. Season with salt and sauté until browned. Add the rutabaga, parsnip, potato and the stock and bring to a boil. Reduce heat, cover, and simmer until the rutabaga and veg are soft, about 30 minutes. Mix in the chipotle and the black pepper. Place in a blender or food processor (affiliate link) and blitz it around until smooth. Stir in the half n half and taste for seasoning. Simmer for another 15 minutes, until hot. Done. *to get the smoke without the heat, sub in 2 teaspoons smoked paprika. Chipotle peppers are quite spicy and smokey too. Here’s a tip, use a fork to fish out the peppers, place them in a cup and chop them up with scissors. Be sure to grab some of the adobo sauce for your soup as well, adds a great flavor punch. This method also saves your board from getting stained. Rutabagas are a root vegetable that come with a waxy coating, and often are kept in cold-storage thoughout the winter. The wax ‘packaging’ protects the veg, so not to worry. As long as you have a good sharp peeler, it shouldn’t be difficult to peel. The actual flesh of the veg is quite firm, so use caution when chopping. 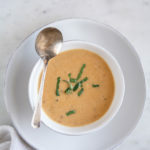 Thanks for stopping by, let me know what you think of the soup!